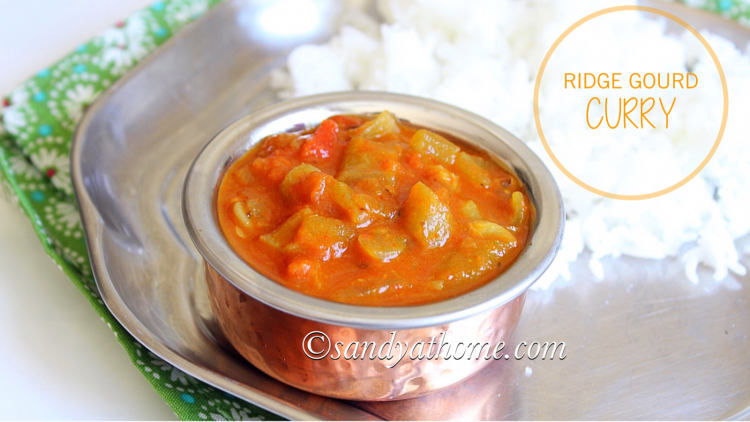 Ridge gourd curry/ Beerakaya curry/ Turai Ki Sabji is spicy, flavorful, healthy and delicious subji/curry that can be served along with chapati or hot rice. 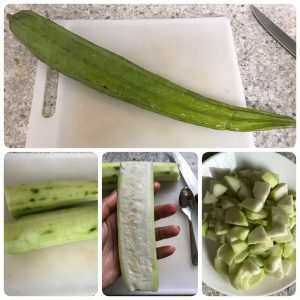 Ridge gourd subji/ curry is one such very easy and quick to make hassle free recipe that i love to prepare any day as it it does not involve much work or much ingredients for its preparation also when you make it for lunch, you can make it huge quantity so that it can be used for chapati for dinner. So many plus points with this gravy and most importantly this veggie cooks very quickly so you don’t need to spend much time for cooking. 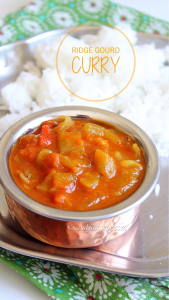 This recipe was one of my favorites 5 months after my delivery as the curry is super easy to prepare and also quick and very light on tummy as it does not involve much of masala. 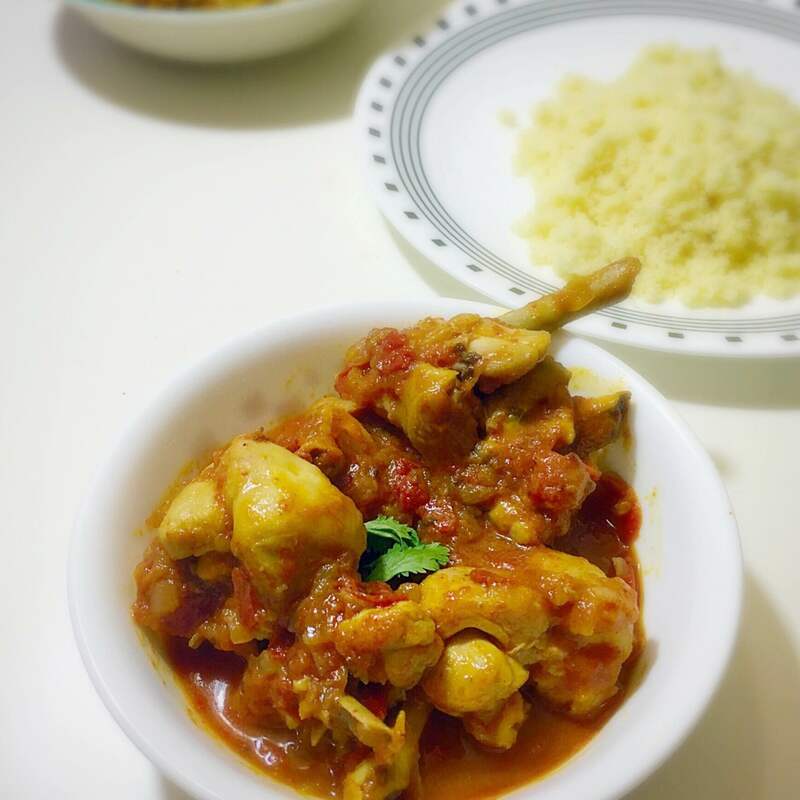 So if you are looking for a twin purpose subji/ curry this should do that work, most importantly this beginner friendly recipe will be extremely easy for bachelor cooks/ working people. So lets get to the making! 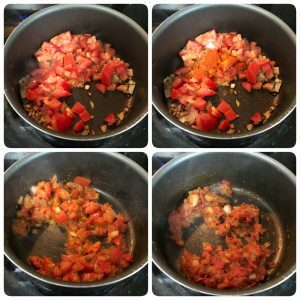 Chop onion and tomatoes finely. Keep it aside. 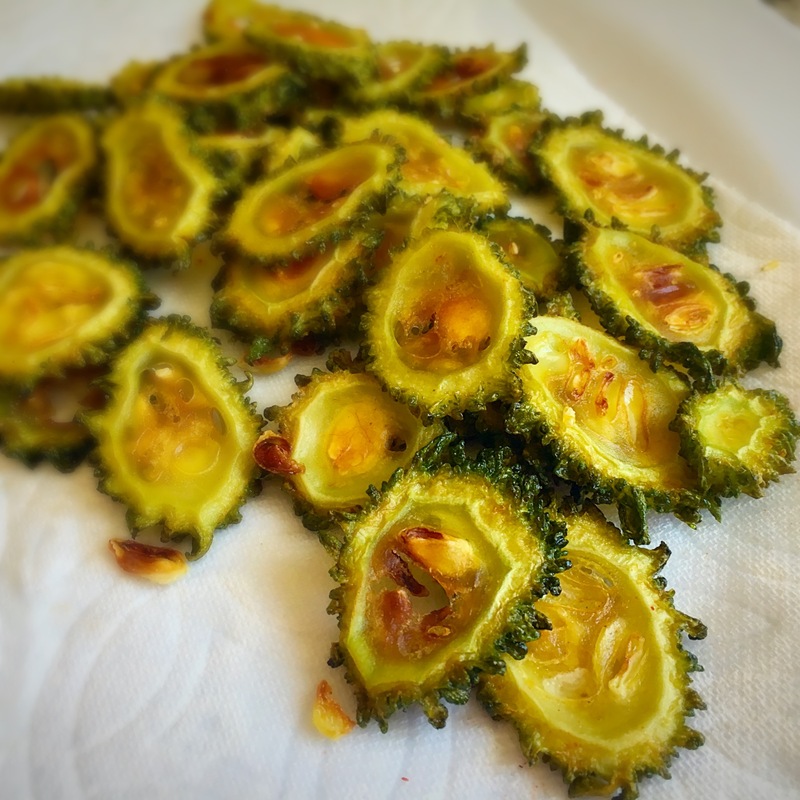 Peel ridge gourd and reserve it as you can make chutney/ thovayal the next day. Now chop the ridge gourd into small cubes and keep it aside. When the tomatoes look cooked and mushy add chopped ridge gourd and mix well. Allow it to cook with lid on in medium flame. This should take about 10 minutes. After 10 minutes put off the flame when u see the kuzhambu consistency. 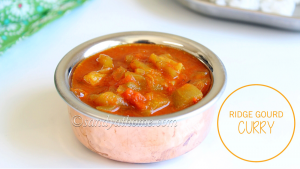 Peel ridge gourd and reserve it as you can make chutney/ thovayal the next day. Now chop the ridge gourd into small cubes and keep it aside. 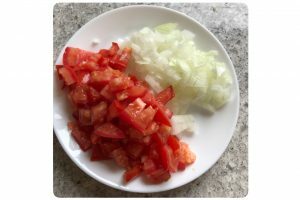 Chop onion and tomatoes finely. Keep it aside. Heat oil in a wok/ kadai add cumin seeds after it crackles add the chopped onion and saute them till the onions become translucent. When the onions look sauteed add ginger garlic paste. Saute well till the raw flavor goes. 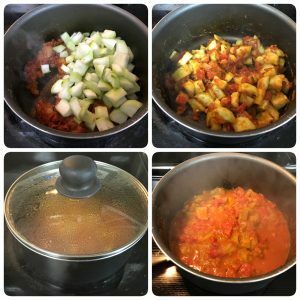 When the tomatoes look cooked and mushy add chopped ridge gourd and mix well. Allow it to cook with lid on in medium flame. No need to add water as the veggie produces enough water which helps in cooking.This should take about 10 minutes. 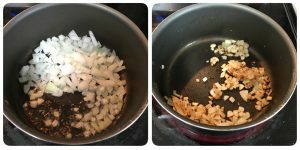 After 10 minutes put off the flame when you see the curry/gravy consistency. 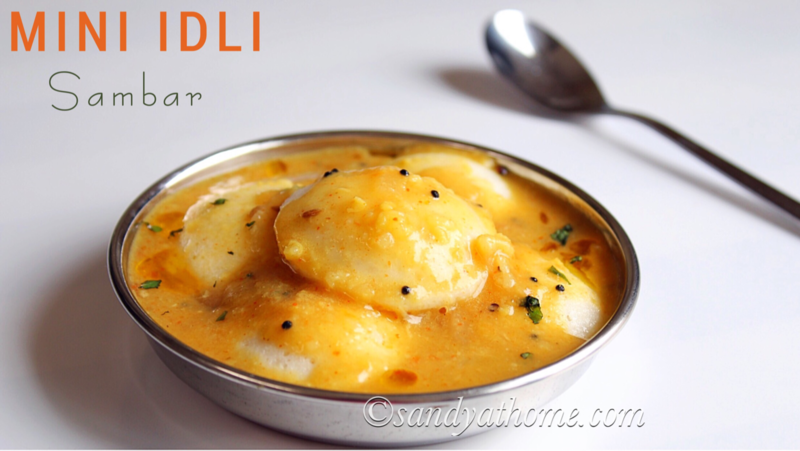 Serve it hot with chapati/ rice!